This shows two toggle clasps, one large and one small. 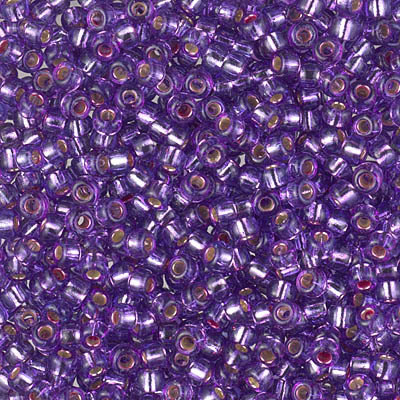 A new version of our popular Be My Valentine Bead Soup Bracelet, this time with some extra crystals and a few special beads -- so let's call it Bead Stew and have a marvelous time. A joyful island in the middle of winter, Valentine's Day with its hearts and flowers has always seemed kind of special. So we put together a bracelet to help in the celebration. 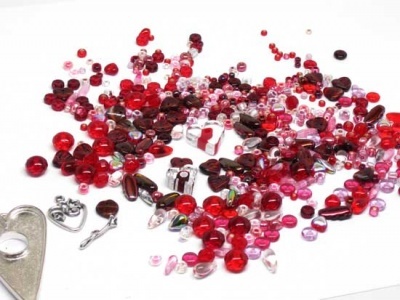 The bead mix is mostly pinks and reds and roses and magentas with a sprinkling of crystals and silvers in all sorts of sizes and shapes. We've added some heart-shaped leaves in red/black swirl and in crystal AB, as well as some striking fire polish crystals to set the whole off in a most lovely way. 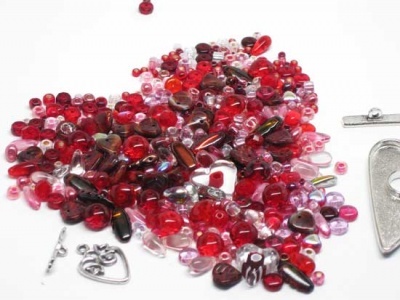 And some pretty special crystal heart-shaped beads too. The thread wiil be silver -- though we do have a few red and pink spools in stock too, so if you'd rather, just let me know. Right now we have both of the clasps you see in the second photo on this page. The large one is about 55mm x 30mm and makes quite a statement, becoming the focal point of the piece. The other is more of a "standard" toggle clasp size. Let me know if you have a preference; otherwise I will choose for you. For those unfamiliar with these bracelets, all of our Bead Soup and Bead Stew bracelets are knit, using thread and a vast array of beads. The knitting needles are not included in the kit but figure on using size 0's, though gauge is simply a matter of personal preference and finding a look you like. 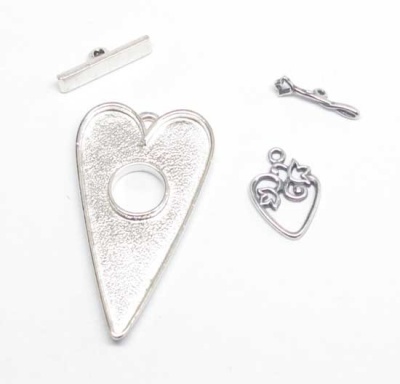 Each kit contains the bead mix, thread, and a clasp, in this case one that has hearts to it or is itself a heart shape. The pattern is the same as for all of the Bead Soup and Bead Stew Bracelets -- you have the option to get it or not via the drop-down menu.